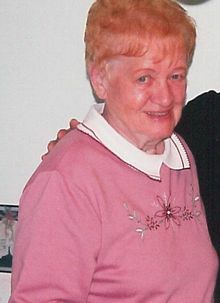 DOROTHY T. REESE (nee Merwar ), age 90 of Parma. Beloved wife of the late John Reese. Devoted mother of John "Jack" Reese (deceased); cherished aunt and friend of many. Passed away on Friday, January 25, 2019. In lieu of flowers memorials may be forwarded to Continuum Care Hospice, 12380 Plaza Drive, Parma, Ohio 44130. Friends may call at the BUSCH FUNERAL HOME, 7501 RIDGE ROAD, PARMA FROM 6:00 PM UNTIL THE TIME OF THE SERVICE AT 8:00 PM, WEDNESDAY, JANUARY 30, 2019. Private Interment at Calvary Cemetery, Cleveland.